ECM IP LAW FIRM consults on the full spectrum of client IP rights. We have a sufficient and in-depth conversation with clients to understand their business in detail, think deeply abouttheir IP rights, and provide the best optimal protection. In addition, we examine the existing portfolio of presently applied/registered IP rights, drawing problems in the direction of protecting existing IP rights, and providing a new and powerful portfolio of IP rights. This minimizes the business risks that clients may face from IP rights and sets the stage for clients to take their business to a higher level. ECM IP LAW FIRM conducts prosecutions for patents, trademarks, design, and copyrights. 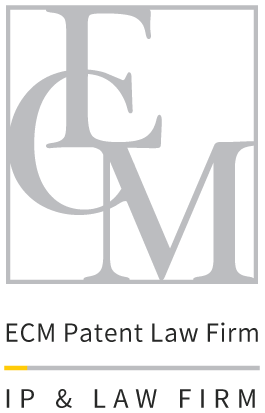 ECM IP LAW FIRM is made up of Patent Attorneys with over a decade of experience in prosecution for IP rights. Regarding patents, we have a perfect quality of work, that has not allowed a single rejection, except for a case where the client wanted to halt. ECM IP LAW FIRM, based on the past and present evaluations/judgement trends and case studies, offers logical rebuttals of an examiner’s inappropriate decisions, which sways to the registration of IP rights, leading to the most advantageous direction for the client. ECM IP LAW FIRM conducts litigations for patents, trademarks, design, and copyrights. Trials and litigation are also required in order to obtain the necessary rights of the client in response to an examiner’s subjective review. ECM IP LAW FIRM prepares a tenacious, detailed trial and litigation based on specific, solid logic considered in various directions to obtain the required scope of rights for clients. In addition, if a client suffers direct or indirect damage due to infringement of IP rights, we seek the most effective solution without unnecessary friction, and along with a competent and skilled cooperative legal firm, we neutralize IP rights violators through civil and criminal proceedings. ECM IP LAW FIRM is conducting IP valuation by determining the value of IP rights and reevaluating the value of a business through calculated IP values. ECM IP LAW FIRM works to ensure that the value of a business with IP rights is valued higher through accurate valuation of its intangible assets of IP rights. At this point, ECM IP LAW FIRM provides an objective and reasonable basis for evaluating the value of IP for business value assessment, M&A between businesses and business EXIT, by providing a more valuable business. ECM IP LAW FIRM conducts tax advice for companies to save money through IP value assessment. ECM IP LAW FIRM conducts tax advisory work to reduce taxes for businesses through IP value assessment. We conduct an IP valuation with cooperative appraisal firms, accounting firms, and tax firms and present a detailed plan based on the IP evaluated. In addition to IP protection through IP rights, ECM IP LAW FIRM is working to create value by utilizing a variety of registered IP rights. · Assessment of IP value of numerous domestic SMEs and value evaluation based on low-interest consulting services.  ECM IP LAW FIRM conducts patent application, registration related to national certification. IP is essential for national certification systems that can be directly linked to business revenues, such as the public procurement services of NEP (New Excellent Product) and NET (New Excellent Technology). ECM IP LAW FIRM conducts a separate IP consulting practice to ensure that business products are recognized as leading procurement agency products, and as NEP/NET certified products. ECM IP LAW FIRM provides a clear guideline on leading procurement agency products and IP for accreditation through the NEP/NET examiners’ career. ECM IP LAW FIRM conducts training for the person in charge and lectures on IP rights. In order to protect and utilize IP rights, it is important to raise awareness of the people in charge of the business and improve their work. The ECM IP LAW FIRM strives to develop and protect IP rights through consistent education activities.  · Educated and trained IP rights to Daegu Gyeongbuk Institute of Science and Technology, Jeonnam National University, Chungnam National University, HanseoUniversity, SaemyungUniversity, andBusanUniversity of Science and Technology. · Educated and trained on IP rights to numerous companies such as Y and I Archer, Gyeongsangbukdo Creative Contents Agency. and improve their work. The ECM IP LAW FIRM strives to develop and protect IP rights through consistent education activities.